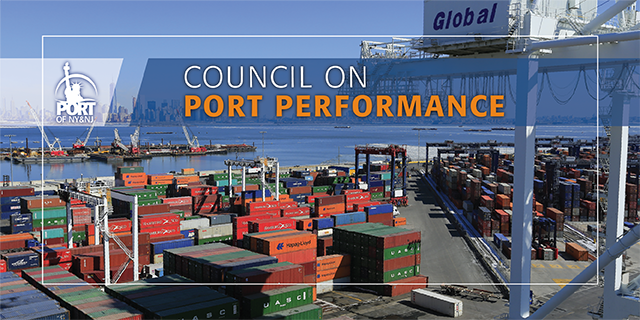 Mayor Ras J. Baraka and the Council on Port Performance (CPP) announced today that CPP voted last month to create a Workforce Development Implementation Team. The first meeting of the Team took place today. This initiative is expected to provide additional opportunities for Newark residents applying for port jobs. The CPP is comprised of members of the Marine Transportation, Logistics, and Distribution (TLD) industry. The industry is experiencing a shortage in workforce talent which needs to be addressed as Port activities expand. Council members believe that collaboration with host communities will lead to economic growth, improve workforce development and strengthen the maritime industry’s ability to attract, train, and hire a qualified and skilled workforce. The Port of New York and New Jersey, with a supply chain workforce of 190,000 handles record cargo volumes in key areas such as warehousing/distribution, customs brokers and freight forwarders, freight railroads, banking and insurance, trucking, government agencies, terminal management, chassis operations, ocean carriers, and terminal operations. The short term industry projection cites an immediate need for experienced truck drivers, warehousemen, and logistics professionals. New York Shipping Association President John Nardi, whose association represents marine terminal operators, Ocean Carriers, said, “Identifying employment needs to bolster our supply chain and matching this demand by developing educational opportunities needs to be an ongoing effort by our port stakeholders.” Mr. Nardi also serves as Vice President of the Council on Port Performance. The new council team also plans to collaborate with the TLD Talent Development Center (TLD TDC) at Union County College, which is funded by a $900,000 grant from the New Jersey Office of Labor and Workforce Development whose mission is to develop and deliver training programs for incumbent TLD workers at employers in the state and in delivering training programs that will provide skills to unemployed or displaced workers and prepare them for entry into TLD jobs.